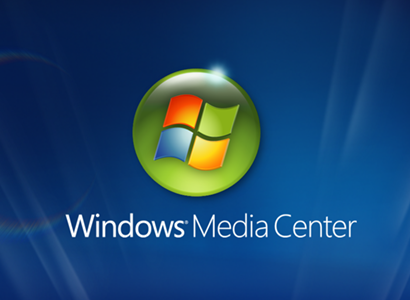 As we reported earlier today, the "default configurations" of Windows 8 will not include Windows Media Center. Likewise, Windows 8 won't offer DVD playback capability. For the uninitiated, Windows Media Center is the Windows component that turns your PC into a robust, well, media center. It serves up photos, music, videos, and, best of all, TV, all via a gorgeous 10-foot interface that's great for controlling from the couch. Indeed, a PC running Windows Media Center makes a killer DVR, whether you pair it with an over-the-air tuner or a cable-company CableCard. I've professed my love for WMC many, many times in this space. But over the years, Microsoft has treated it like the red-headed stepchild, barely acknowledging its existence, acquiring and then effectively killing off one of the Web's most popular WMC forums, and, now, relegating it to a Windows 8 add-on. Now, I'm the first to admit that not everyone needs or wants Windows Media Center, so I can see Microsoft's reasoning behind unbundling it from Windows 8. But making users pay extra for it (the price has yet to be announced) after including it for free with Windows Vista and Windows 7 is a slap in the face. Microsoft doesn't charge for extras like Photo Gallery and Movie Maker, so why not just make Media Center another freebie for those who want it? What's more, Microsoft has stated that very little has changed in the Windows 8 version of WMC, so it's not like your investment is buying you extra capabilities (like, say, Hulu Plus integration, which would be awesome). For years I've championed Windows Media Center as a great alternative to the likes of TiVo, but I'm so furious with Microsoft right now, I feel like boycotting all future coverage of the product. As a technology writer, I don't really have that luxury, but as a consumer, I can vote with my wallet. I won't be upgrading my current media-center PC to Windows 8. And I sure as heck won't be paying for Windows Media Center, which continues to be a great asset in Windows 7. Let me know how you feel about this. Do you think I'm over-reacting? Do you agree that Microsoft is making a mistake? Are you on the fence pending the price tag for Windows Media Center? Share your thoughts in the comments.